My family decided to cruise with Princess for the first time and found ourselves on the Crown Princess Thanksgiving cruise for 2013. We had cruised with Carnival several times, and with Norwegian and Royal Caribbean once each. We had also heard that Princess cruises are a little more upscale than Carnival's, and were eager to check it out. 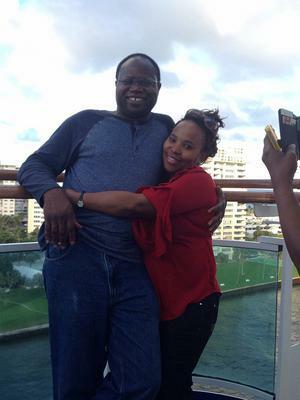 We set out, expecting to have a great time at sea, especially during the Thanksgiving break. We arrived at Port Everglades sometime after most people had already checked in (minutes to 2 pm), so it was a breeze for us - no line. I thought that was pretty cool! We boarded our ship and I was quickly amazed by the atrium and famous piazza. I had heard much about the piazza and was eager to see it. At first, I thought it was somewhat small (I expected more in size), but throughout the cruise it would become a favorite spot to relax and just watch people and entertainers. From the piazza we went to our cabin and I was impressed. The cabin, while smaller in square footage than Carnival's, was so well arranged that it actually appeared bigger than Carnival's. The bathroom and a closet area are separated from the bedroom area by a wall and that seemed to give the cabin a more spacious appearance. Before long, we headed to the Lido Deck for lunch and to get a glimpse of the rest of the ship. The Crown Princess is a beautiful vessel! It is well decorated, clean and dotted with impressive pieces of artwork. I liked the fact there were several pools onboard, a spacious theater with great nightly performances, a Sanctuary for adults only, and wonderful crew members. 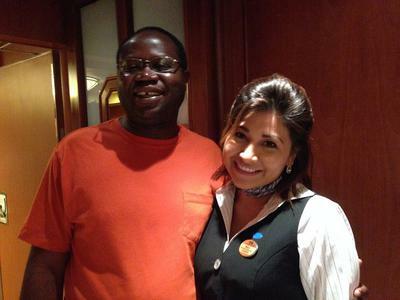 I met several crew members who made a great effort to provide the passengers with a great cruising experience. Thanks to our room steward, Tito, Maia the Michangelo Dining room hostess, Lena - a waitress, Aleksandra, Natalia and Inna from the Horizon Food Court. These crew members (and all the others), worked really diligently and should always be appreciated for their service. 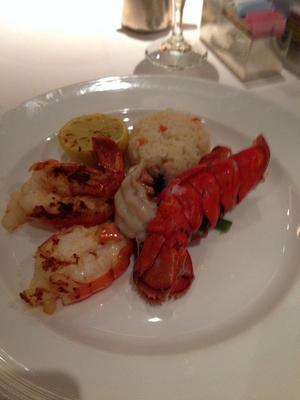 As far as the food went, I cannot say that it was better than the cruise food I have had on other ships. However, it was just as delicious. Turning to entertainment - I appreciate the Cruise Director, Lisa and her assistant, Matthew, for the variety of programs offered and for both of them doing a fine job to keep the passengers entertained. 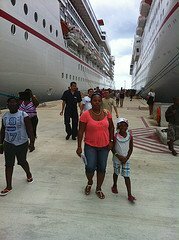 Our Crown Princess Thanksgiving cruise for 2013 made four ports of call: Princess Cays (Princess' private resort in the Bahamas), St. Maarten, St. Thomas and Grand Turk in the Turks and Caicos Islands. We chose not to book any shore excursions on this trip. Instead, we did our own thing on each island. 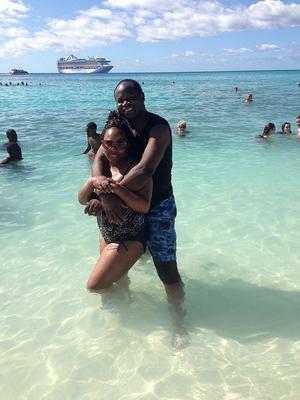 Princes Cays was largely a beach stop. In St. Maarten we did a tour of the tiny French/Dutch island, went shopping in St. Thomas, and visited Governor's Beach in Grand Turk. Over all, we enjoyed each port of call, but the beach stops were my favorites. Our Crown Princess Thanksgiving Cruise 2013, ended without incidents. There were a few days when the sea was rough and several people in our group got sea-sick. However, besides that, everyone had a blast. I am really excited that I chose Crown Princess for this cruise getaway, and I will certainly sail with them again. Join in and write your own page! It's easy to do. How? Simply click here to return to Princess Cruises Reviews.